Have you recently switched from Lotus Notes to Outlook? Just keep in mind that Outlook doesn’t support NSF file format. You can’t open the NSF file in the Outlook client until you convert it into PST format. If you’re wondering how to export Lotus Notes email to Outlook, you’ve come to the right place. In this article, we’re going to discuss how to convert NSF to PST format by using two different methods, i.e. either manually or by using a professional NSF to PST Converter tool. Email or electronic mail is considered as one of the premier uses of the Internet. In today’s world, there are many email clients which play an important role in the business communication. IBM Lotus Notes and Microsoft Outlook are two such popular email clients. Lotus Notes is an application suite that includes various components such as email, calendaring & scheduling, address books, database, web server, programming, etc. Although Lotus Notes is highly popular as an email system, this ain’t necessarily the largest strength of Lotus Notes as a product. However, email is perhaps the most recognizable component it has. Microsoft Outlook is a popular email client included with the Microsoft Office suite. It works as an independent personal information manager. Although Microsoft Outlook is mainly used as an email client, it also includes a calendar, task manager, contact manager, note taking, journal, and web browsing. Both have their own capabilities to provide a reliable email system to users. However, for a better integration with Microsoft Office and other Microsoft applications, you may need to switch from Lotus Notes to Outlook at times. Generally, switching from one email client to another looks easy and effortless. But sometimes it ain’t just about switching the email clients from one to another. You have to migrate the old mailbox data to the new email client. This process of email migration might be tricky sometimes, especially when the email clients are different from each other. Just keep in mind that IBM Lotus Notes and Microsoft Outlook support different file formats. Lotus Notes creates a database file to store all the collaborative business information such as emails and calendar data in it. This database file is saved in NSF (Notes Storage Facility) format. Microsoft Outlook creates an Outlook data file to store the email messages and other mailbox data. This Outlook data file is saved in PST (Personal Storage Table) format. So if you’re switching from Lotus Notes to Outlook client due to any reason, you must convert NSF to PST file format. Why? Because Microsoft Outlook doesn’t support NSF file format. Even there’s no way to import or export Lotus Notes email to Outlook client directly. Generally, a 3rd party NSF to PST Converter tool is highly recommended by professionals and experts. It’s considered the best solution to convert NSF to PST file format. However, you should try an easy DIY trick before purchasing any such paid software. The manual trick I’m sharing here is easy, effective, and most importantly free. It doesn’t require any 3rd party tool or any cost at all. All you need to use is IBM Lotus Notes. First, launch the Lotus Notes client on your system. Now open the NSF database file which you want to import to the Outlook client. On the taskbar, click File > Export… in the options. This will open the Export wizard. Here you need to define a location and name to save this new file. Now click the drop-down arrow next to Save as type option, and select either Comma Separated Value or Structured Text. Now click the Export button. Once the file has been successfully created, it’s time to import it into the Outlook client. You can simply use the built-in Import feature of Outlook. And within a couple of minutes, the new file will be successfully imported to the Outlook client. But keep in mind that the DIY trick might be time-consuming. Also, it may require a sound technical knowledge. To know more about Lotus Notes migration you can read our previous blog on Lotus Notes to Exchange Migration. If you’re looking for a quick, easy, and effective way to convert NSF to PST file format, you should use a professional solution. Shoviv NSF to PST Converter tool is one the best solutions available on the online marketplace. Via this software, you can successfully export Lotus Notes email to Outlook client without causing any alteration to the original NSF files. Other than email messages, you can import contacts, calendars, etc. from Lotus Notes to Outlook client. Don’t worry if you a novice user having less or almost no prior technical knowledge. It contains an easy-to-use and intuitive interface so that any technical or non-technical user can use this software with ease. At a time, you can select any number of NSF files at a time. There’s no such limit. The NSF to PST Converter tool from Shoviv software is available with the demo version for free evaluation. By using the demo version, you can import the first 25 items from each mailbox folder of the selected NSF file into new PST file. This is the only limitation found in the demo version. You can place an order for the licensed version to overcome this limitation. You can also read our previous blog on ” Lotus Notes to Exchange Migration” if you want to know more about Lotus Notes Migration. It’s commonly seen that email users switch from one email client to another. 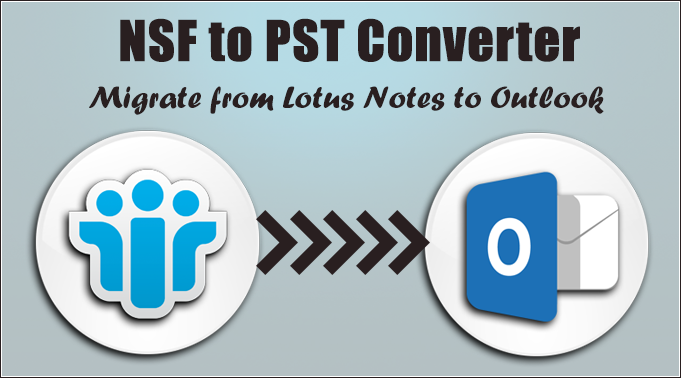 If a Lotus Notes user is switching to the Outlook client, he/she needs to convert NSF to PST file format. 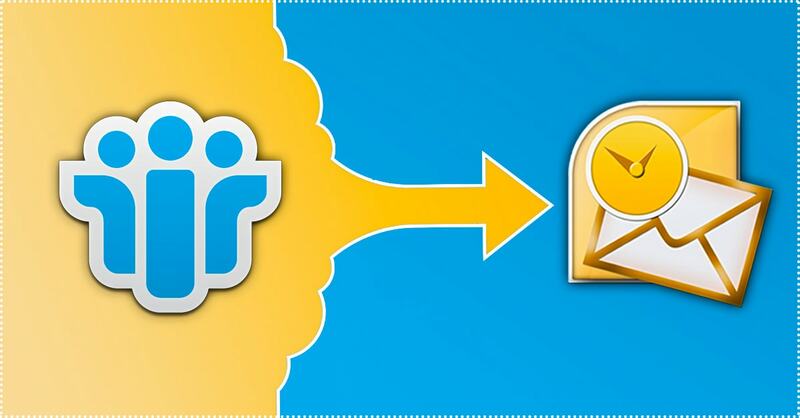 In this article, we’ve gone through the two different methods to import the mailbox data from Lotus Notes to Outlook. If you find the DIY trick little inconvenient, you can simply use the professional solution recommended in this article. Note: If you are also interested to know about Lotus Notes to Office 365 Migration, read this post.